We are proud to say that our company is the most recommended remodeler in Wisconsin. We’ve worked hard to create our outstanding reputation by caring for over 25,000 satisfied customers. We serve nine counties throughout Southeastern Wisconsin, and we are available to address your home remodeling needs whenever you are ready. Stop by our West Allis showroom to browse our products and discuss customization options. From window glass to door hardware, we can tailor your remodel to be exactly what you want. Plus, all of our product installations are guaranteed against defects, or your money back. Give us a call at 414-459-3874 or contact us today. We’re happy to meet with you and answer any questions. Our in-home, no-obligation consultations are free so there’s absolutely no pressure. We work with you at your speed—and always do what we can to meet your budget. Pressured to install before I had planned. But now it is done! Can't speak to pricing because we didn't compare with other companies. We were confident we were receiving a quality product. Very well done. Cleaned up when job was completed. Explained how doors worked & went over all the paperwork thoroughly. Job was done in good time, quickly and carefully. Took the time to do it right. Very professional and respectful. Great crew of men. Addressed all of our requests. When you have our team re-side your Greenfield home, you benefit from a modern-looking, secure house. We can help you select siding for your home including finding the perfect color. Vinyl siding is one of our most popular choices. Our installers are skilled and experienced. They’ll even recommend and install shakes and scallops to ensure the install looks great right down to the last piece. Finish off your remodeling project with a new front entry door or back patio door. Our doors are affordable and can be fully customized to match your Greenfield home. And ask us about fire door options which can help protect your family and home. Let’s get started on updating your home today—and you’ll see why Weather Tight is the leading remodeling company in Southeastern Wisconsin. If your Greenfield home has a roof leak, you need to address the issue as soon as possible. We can install a new roof that’s weather tight and weatherproof. We’ll tell you about all of your options and then help you select one that will best fit your home—whether it’s asphalt shingle or metal roofing. To protect your new roof and your home, we’ll also recommend new gutters and gutter protection as needed. We never suggest or sell you anything you don’t need, so you can trust us when we say your home could benefit from an update. We’ll also flawlessly install soffit and fascia to ensure your home is fully protected. We are licensed, bonded, and insured—you can always trust you’re in good hands with our experienced professionals. 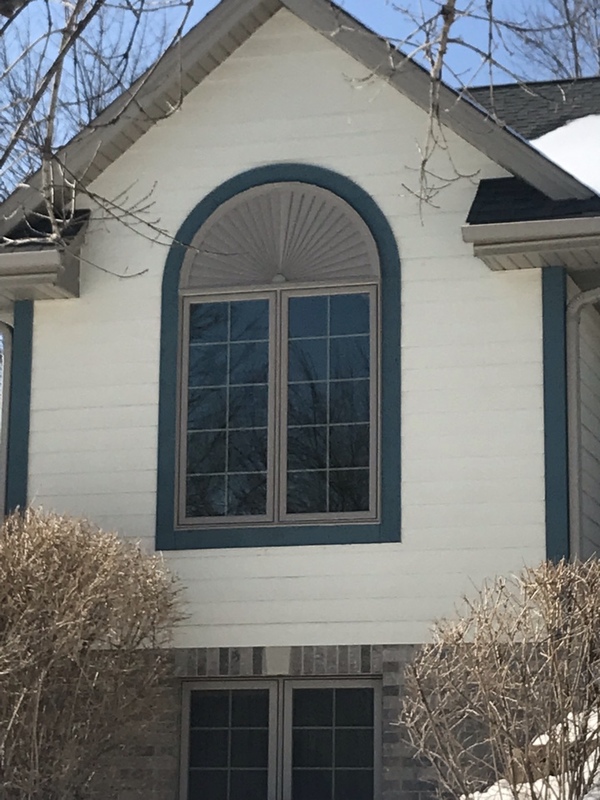 Whether your home is new and modern or an older, classic ranch, we can find the right windows to match the rest of your house. From garden and double hung to casement, sliding, full-frame, and bow and bay windows, we’ve got you covered. We can even customize your windows with color, hardware, casing, and more. Visit our showroom to see options and discuss your ideas with our professionals. All of our installations are guaranteed against defects, or your money back. We’ll even take care of warranty paperwork for you. Read through our testimonials to see what other customers are saying. We look forward to helping you. The community of Greenfield has been around for over 150 years and was originally called the Town of Kinnickinnic before changing its name to Greenfield after the post office in 1841. While you’re visiting, make sure you check out the Montag-Boogk cream city brick home and the Finan-Gabel-Bodamer Log Cabin—both of which are recognized by the Greenfield Historical Society. We also recommend you check out local favorite restaurants like That’s Amore or Kopp’s Frozen Custard. You’ll definitely enjoy your time in Greenfield. It’s a quaint suburb with big city opportunities just a short drive away in Milwaukee. When you are coming to tour our showroom from Greenfield, start out driving west on West Layton Avenue for 1.6 miles and then turn right onto South 108th Street. Continue for another 1.6 miles before turning left onto South Wollmer Road. After half a mile, take a left onto Milwaukee NN/West Oklahoma Avenue and you will see our location on the right. Welcome!